This is a Swiss Army Knife that a Swiss walnut tree gave its life for. 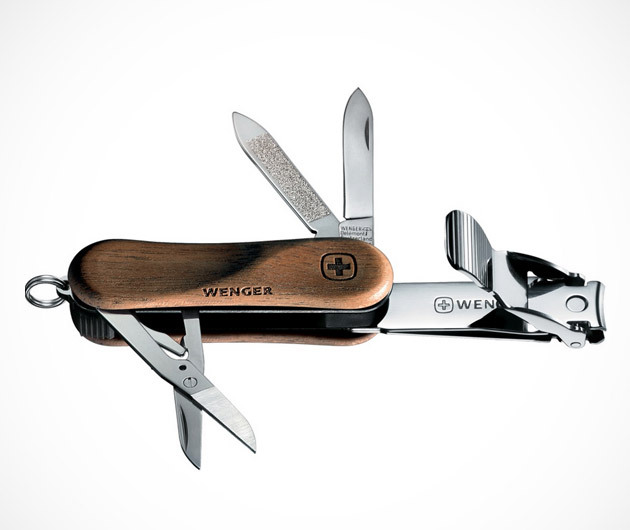 The Swiss Army EvoWood Clipper 580 ($50) is a combination knife, scissors, file, clippers, and key ring that fits neatly in your pocket at only two and a half inches (closed). The EvoWood Clipper 580, carved from Swiss walnut, is a functional piece of art.